If you're an avid fan of essential oils, you may have considered starting an aromatherapy business from the comforts of your own home. Not only can it turn out to be a lucrative business, but you will play an integral role in the lives of your customers by providing non-invasive relief for both physical and mental ailments. 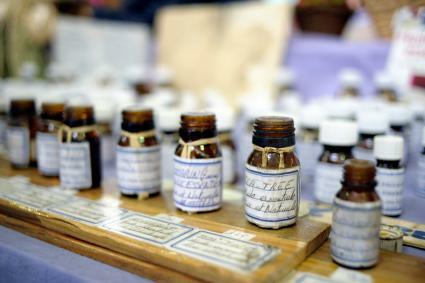 Is the aromatherapy business a venture you really want to embark upon? What piqued your interest? 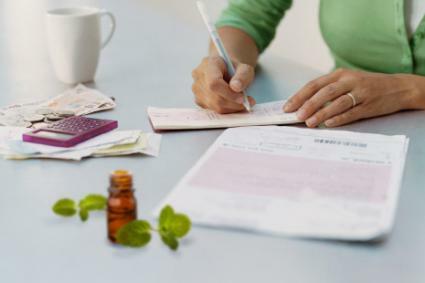 Was it a friend's essential oil party, did you read about aromatherapy on the internet, or did you simply pick up a few bottles of essential oils from the drugstore and decide to start a business? These are just a few of the questions you need to ask yourself to determine if you're truly passionate about aromatherapy. Next, you'll need to educate yourself about the benefits and dangers of aromatherapy. Once you have a general overview, you'll know if the business is a good fit for you and if you can truly see yourself selling essential oils to others. Now, it's time to do more in-depth research on the aromatherapy industry. Study the business model, marketing strategy, and offerings of key players in the aromatherapy industry to identify their strengths, weaknesses, and gaps in their business. The latter can create opportunities for you later. Consider taking an online course or completing a professional certification program. You can find available courses through the National Association for Holistic Aromatherapy (NAHA) website. Try out a few of the products on yourself and bring some test clients on board to get an objective opinion on the oils you will be selling. Learn about essential oils safety so you can share appropriate information with clients. Will you start an aromatherapy business under a multi-level marketing (MLM) company or go the independent route and make your own products? If you choose the latter, you'll need to find wholesalers that offer the desired inputs for your products. Wholesalers to consider include, Aromaweb, Wholesale Supplies Plus, AromaTools, and Essential Wholesale & Labs. You can also visit AromaWeb to find a comprehensive directory of aromatherapy wholesalers around the world. Fees and Commissions: Usually, there is a fee to join the network, and they may also take a percentage of your sales. In some instances, you can earn a commission on the sale. Supplies: The parent company will more than likely require you to purchase inventory directly from their supplier at a set rate. Popular parent companies include doTERRA, Be Young, and Young Living. Before signing up with a MLM company, carefully evaluate your options, since having a middleman means lower profit margins. You can sell essential oils, or you can make your own homemade aromatherapy products (or a mix of the two), such as hand creams, diffuser blends, soaps, candles, lip balms, and lotions. Determine which products you will sell by researching demand, as well as any gaps in current product offerings you may be able to fill. In order for your business to be successful, you must do whatever it takes to spread the word to the masses. A formal marketing plan is instrumental in helping you formulate a branding and distribution strategy. Be sure your plan is tailored to suit the needs of your potential customers as determined in the research and development phase. Information on your target market: Who are they, what are their most pressing health needs, and how will your aromatherapy business help them find relief? Unique selling proposition (USP): What makes your aromatherapy business different from all the others? Is it a unique blend, the types of essential oil bundles you're offering, or is your pricing more competitive? If you can't think of any key differentiators, how will your business stand out from the masses? Market infiltration strategy (customer acquisition): Will you use social media to find your prospects? What will make your pages different from all the others? Have you considered joining online groups where your prospects hang out to establish relationships? These could include holistic health, stay-at-home mom, yoga, or fitness enthusiast groups on both social media and online forums. Advertising: To a large extent, your budget will determine your advertising strategy. With budget in mind, consider the following: Where will you advertise; online, in print publications, or both? How will you use your ads to garner the interest of your prospects? Will you include intriguing infographics that highlight the benefits of essential oils? Expansion strategies: As your business flourishes, how will you capitalize on new opportunities? Will you connect with other influencers in the aromatherapy space to host Twitter chats or teach online courses? Will you reach out to holistic health and fitness facilities in your area to host aromatherapy information sessions? Will you pitch yourself as a workshop facilitator at aromatherapy conferences? For each of the sections mentioned above, you will also want to include action steps you will need to accomplish your objectives. You can start with a list for the first year and revisit the marketing plan monthly to track your progress and make the necessary adjustments. It's best to obtain quotes from at least three suppliers and compare your options to determine where you'll derive the best value for your investment. Create a spreadsheet of the costs for the first year to determine how much capital you'll need to get up and running. Now that you're registered and have an idea of the expenses you'll incur in the first year of your business, it's time to secure funding. You have the option of using your own funds, seeking loans from family and friends, or applying for a small business loan from an online or traditional brick and mortar financial institution. The latter may be quite difficult since you don't yet have a successful track record to prove to lenders you are a non-risky borrower. Once you've established your online presence by purchasing your logo, domain name, and hosting, it's time to prepare for the grand opening of your business. If you'll be selling online, a bulk of the work is already done if your website is up and running. Also, consider large online marketplaces, such as Amazon, eBay, or Etsy, to list your product offerings. They will enable you to gain more exposure for your business; just be sure to compare the fine print to ensure you select the option that offers the highest profit margin. Consignment arrangements are also a viable option if you want to keep costs low during the initial startup period. Talk to local shops, such as yoga studios, beauty salons, or natural health clinics, about carrying your product offerings. Plan on providing samples for business owners so they can determine the quality of your products. You should do this after you've determined where you'll be doing business to avoid storage costs. Keep in mind essential oils and aromatherapy products have a shelf life, and take expiration dates and product rotation into account as you purchase inventory. Ask the supplier if a bulk discount is available for retailers. Also, don't forget to diversify your options to gain a competitive edge by creating unique combinations and testing products that would be a nice addition to the aromatherapy industry but aren't yet popular on the market. 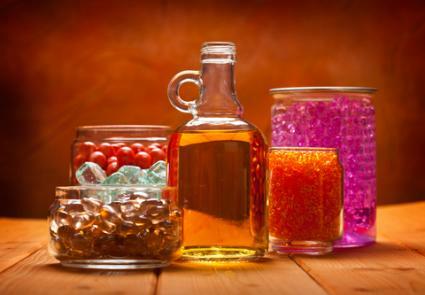 If you will be selling your own homemade products, anticipate purchasing more than what you actually need so you'll have an ample amount of inputs to experiment and create unique blends. Between now and your launch, spread the word about your new business via flyers, social media, business cards, word of mouth from friends and family, local businesses, and community events. At last, the big day has come. As time progresses, continuous improvement is key. The goal is to exceed the needs of the customers so they will keep coming back for more. 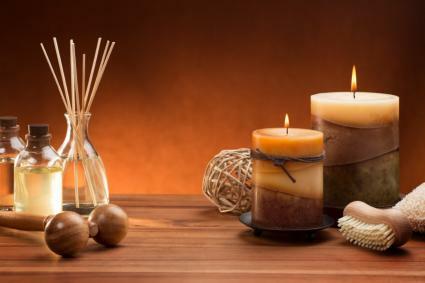 Before deciding whether an independent or MLM aromatherapy business model will best suit your needs, ask around to get an idea of the benefits and drawbacks of each option. Next, conduct a cost-benefit analysis based on your unique financial situation to determine which route will be most feasible in the long-term.